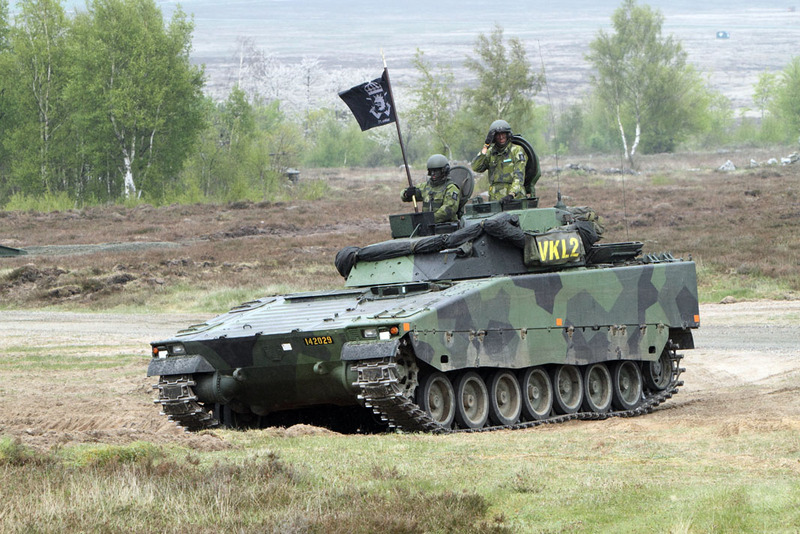 The Strf 9040 is the designation of the Swedish Armies Stridsfordon 90 (Swedish for Combat Vehicle 90). 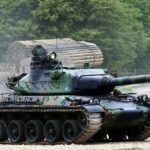 The 40 refers to the 40mm Bofors auto-cannon main gun. A total of 509 models and variants have been built for the Swedish Army. Since entering production in 1993 for the Swedish Army, the Strf 9040 design has been improved with a number of upgrades. 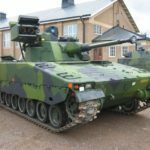 The Strf 9040C is the most heavily armored version in Swedish Army service and in 2016 the Government awarded BAE Systems Hägglunds AB And BAE Systems Bofors AB, a contract to refurbish and upgrade 262 Strf 9040 for the Army. 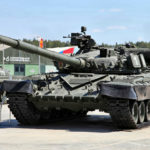 The Strf 9040 (refered to in Sweden as the Mk 0) has also evolved into several export models and the most advanced medium tank available to date. 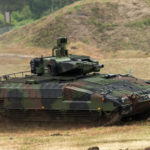 Known commonly as the Combat Vehicle 90 or CV90, it is the most successful Tracked Infantry Fighting Vehicle in Europe and the NATO Alliance. 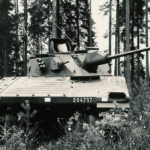 This page focuses on the Strf 9040 in service with the Swedish Army. 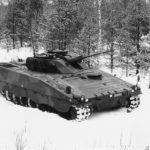 In 1983 the Swedish Defence Material Administration (FMV), along with the Swedish defence industry formed the Combat Vehicle 90 Project for a new tracked Combat Vehicle for the 1990’s. 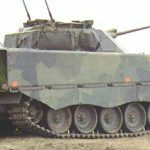 In 1985 development of a chassis and 40 mm gun started with, the first prototypes ordered in 1986. 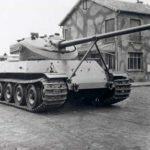 In total x5 hulls and different turrets were built at the same time, with all 5 hulls having distinct ID numbers painted on the hull front, lower glacis, left side. The most common photographed were 204797, 204798 and 204799. 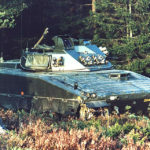 These were delivered in 1988 for army trials. 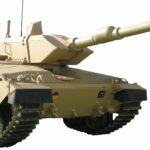 Each prototype hull and turret varied, for example 204799 had a raised dome in its engine bay hatch. Some turrets Machine Guns were positioned differently or had additional sights. 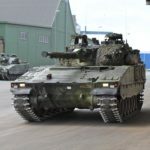 During the development and trial process, the Strf 90 was installed with both a 25mm (Strf 9025 aka CV9025) and 40mm auto-cannons (Strf 9040 aka CV9040). 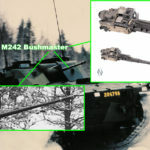 Following extensive trials, the FMV selected the 40mm Bofors cannon and the 25mm M242 Bushmaster cannon was dropped. 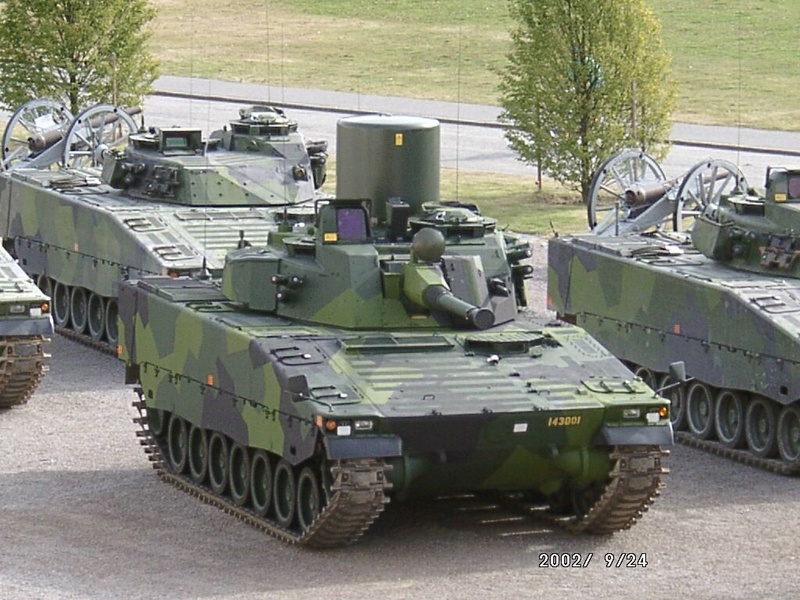 In 1990, Epbv 90 and 90 Stripbv variant turrets were ordered for trials and photographed on 204797, 204798 and 204799. In 1991 series 1 production was ordered, followed by the series 2 order in 1993. 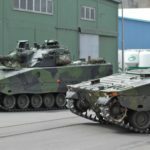 This was for the Epbv 90, Lvkv 90, Stripbv 90 and 90 Bgbv variants. 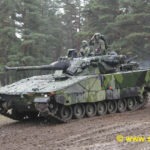 Serial production started in 1993 with AB Hägglund. 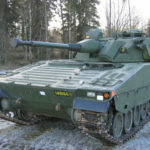 In October 1997 the British company Alvis plc acquired Hägglunds Vehicle AB to form Alvis Hägglunds AB and through a number of other company mergers to form BAE Systems AB. 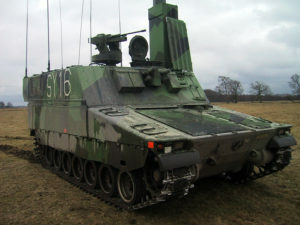 The Strf 9040 uses the Bofors 40mm L/70 version cannon. 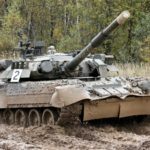 It fires x3 principal rounds: Bofors 40mm APFSDS-T, HE-T and Bofors 40mm 3P “Prefragmented Programmable Proximity-Fused” HE-T (as well as 40mm TPDS-T Practise Round). 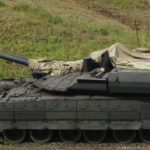 The 40mm cannon is fed by a carousel at the bottom of the turret. The carousel is then refilled from a storage bin under the turret by the infantry in the back. 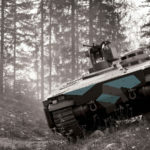 The Basic Strf 9040, 9040A and 9040B are rated to protect against 14.5mm AP rounds on all sides/rear of the vehicle. 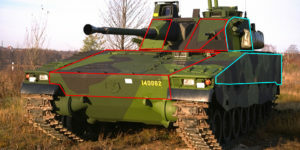 The Frontal arc (Red) is rated against 30mm rounds. 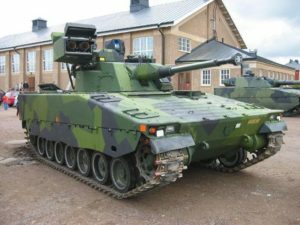 However, a colleague who is ex-Swedish Gunnery Instructor states that the frontal arc can withstand 40mm AP rounds fired by the Bofors 40mm main gun. 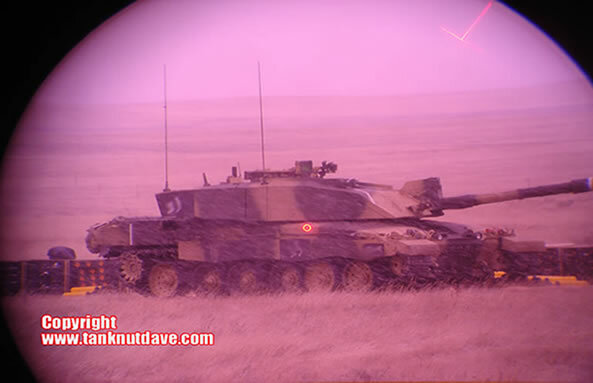 The vehicle is fitted with full NBC protection. 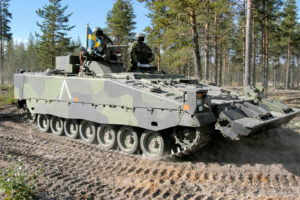 The engine is located in the front of the vehicle, which acts as additional protection for the crew located behind it. 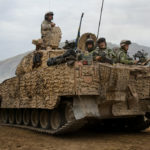 The vehicle is fitted with a bank of smoke grenade launchers on either side of the turret capable of firing smoke and other visual obscuring grenades. 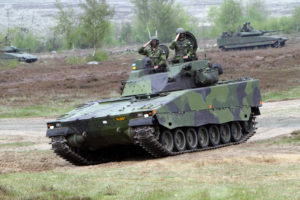 The Strf 9040 has a conventional Infantry Fighting Vehicle layout. 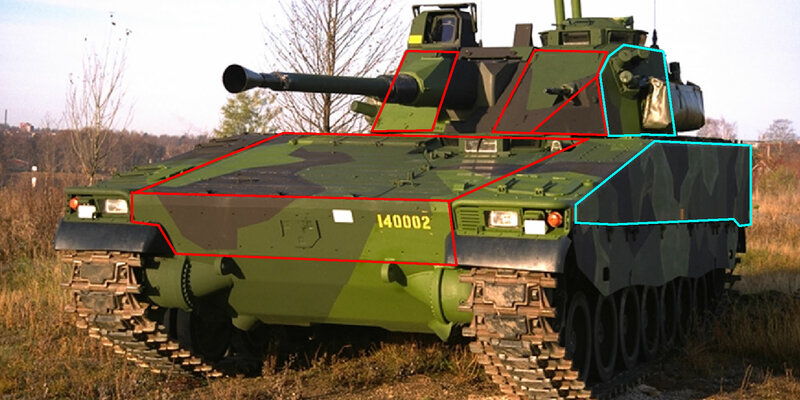 The engine bay is located at the front, on the right side, with the drivers compartment on the left. The 2 man turret is located in the middle, with the troop compartment in the rear. They exit the vehicle through a large rear door using the vehicle as added protection as they dismount. 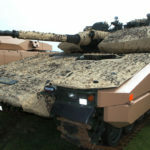 additional hatches are mounted in the roof, which can be used by the infantry to fire their personnel weapons when opened. 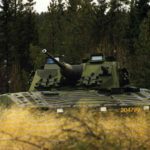 Ordered in 1994, the Strf 9040A featured a new external mounting of a gun stabilization system to the left of the main gun. All earlier production model upgraded to this standard. 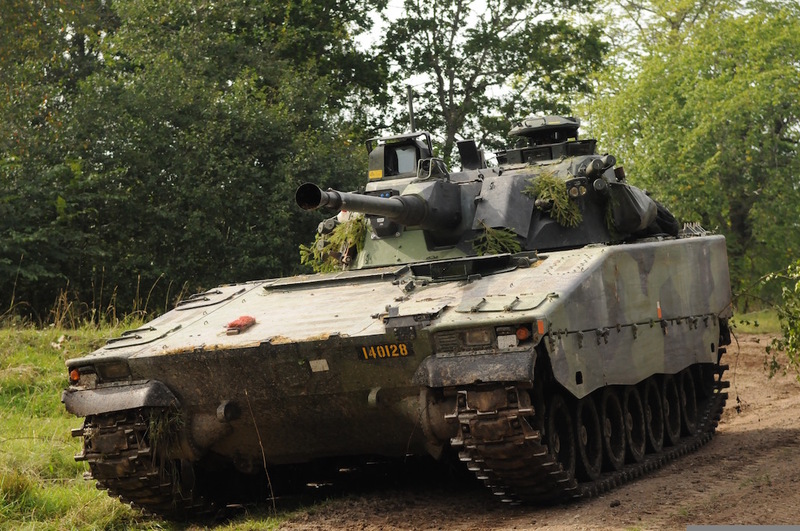 The stabilization system allowed the Gunner to successfully engage enemy targets whilst the vehicle was in motion. 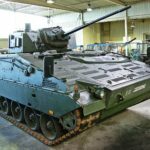 Ordered in 1997, the Strf 9040B saw the Strf 9040A external gun stabilization system removed and a new internal replacement installed. 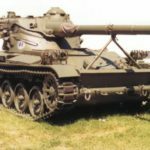 In addition, a Gunners back up sight was installed and mounted on the left side of the main gun. 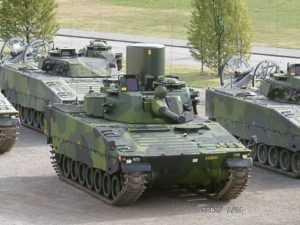 In 2002 an up-armored version designated Strf 9040C was delivered to the Swedish army. 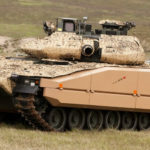 It features a complete modular AMAP armor system and is probably the most heavily armored Infantry Fighting Vehicle in Europe. 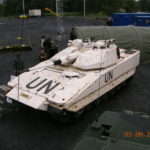 Only a limited number are in service and were deployed as part of Sweden’s contribution to the UN-force in Liberia 2004 and later as part of ISAF in the Afghanistan War in 2009. 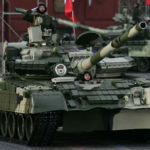 Unveiled in 2012, REMO was a proposed upgrade and has not been added in to the 2016 announced overhaul of the Strf 9040. 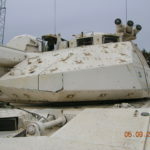 It featured new AMAP armor along the side of the hull. 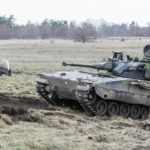 Used for Artillery and Mortar spotting. 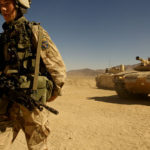 The vehicle locates and directs Artillery and Mortar fire. 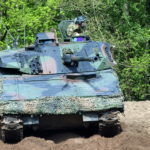 Equipped with sighting and detection equipment. 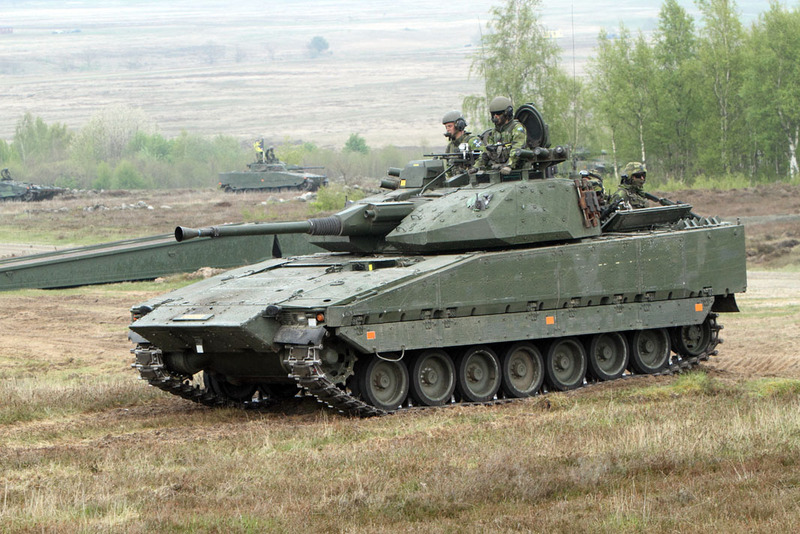 Lacks the 40mm Bofors main gun. 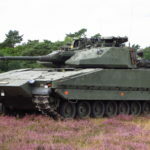 Used by battalion and brigade commander for command & control. 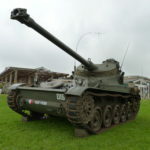 Lacks the 40mm Bofors main gun. 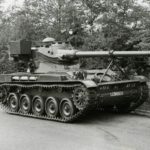 Used by engineers to recover and tow damaged Strf 9040 from the battlefield. 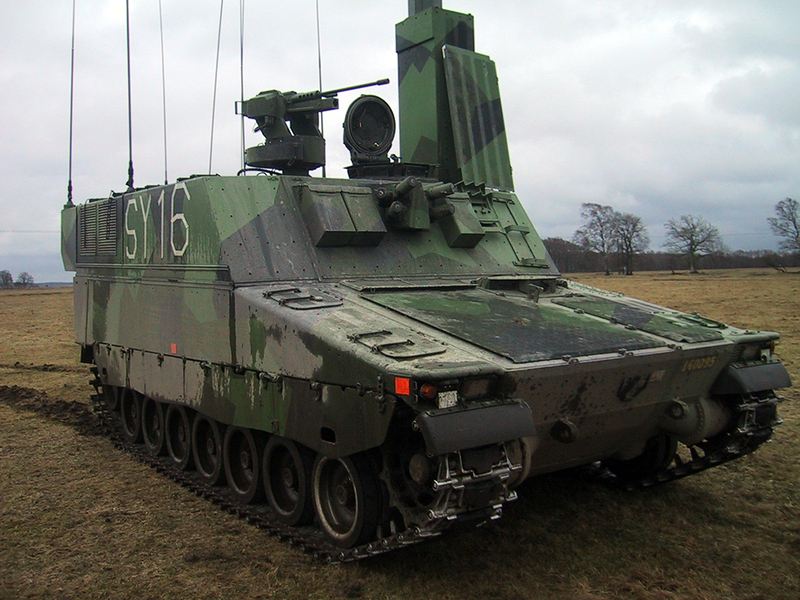 Vehicle features, winches, block and tackle equipment, stabilization blade and HIAB crane. Converted Strf 9040 hull fitted with a raised superstructure housing communications jamming equipment. 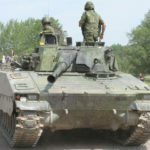 This vehicle did not enter service.